"Funny, moving, perceptive, artful--these are the first words that came to mind... 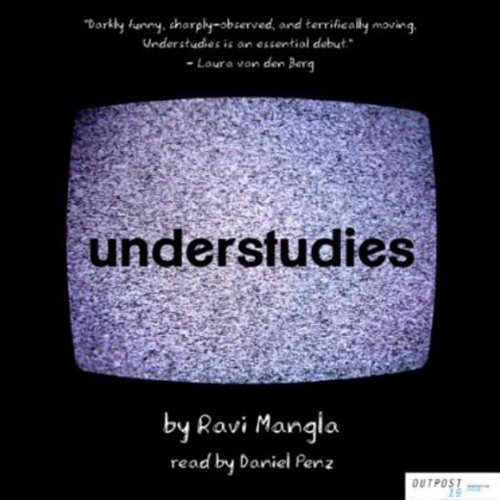 I began reading it aloud and marveled all over again at Ravi Mangla's ability to tell us, with precision and wit, what deserves to be known." - Joanna Scott (author of Follow Me and The Manikin) "...delightingly tight, micro-chaptered Understudies is an unassumingly beautiful and moving debut.." - Gary Lutz (author of Divorcer and Partial List of People to Bleach) "With the absurdist realism of A.M. Homes and the perverse randomness of Miranda July, Ravi Mangla's Understudies asks 'is the unacknowledged life worth living,' and---in a prose as original as the novel itself---answers, definitively, yes." - Courtney Maum A high school teacher begins to question the course of his life after a famous young actress moves into town. In the starlet's shadow, his girlfriend, his mother, his neighbor, and his students take on strange new dimensions. Told in a series of snapshots, Understudies presents a sharp, funny, and heartbreaking study of beauty, celebrity, and everyday needs.